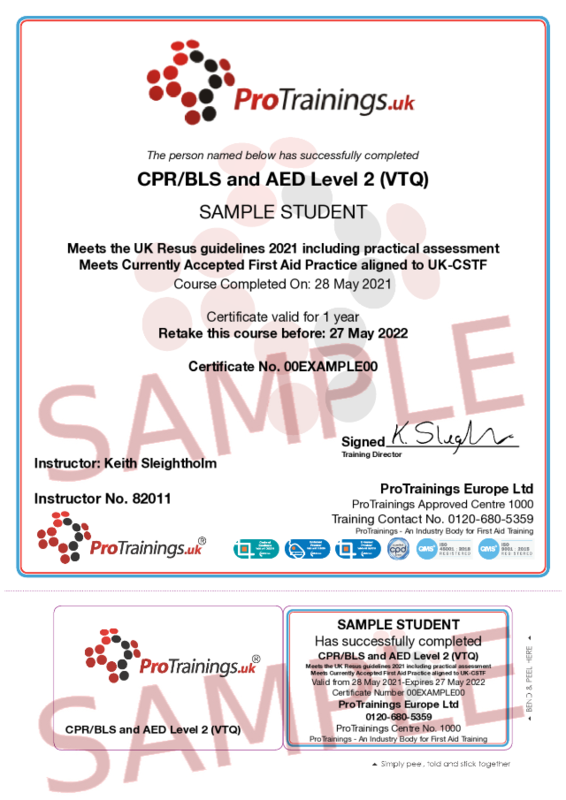 The purpose of this Level 2 Award in Cardiopulmonary Resuscitation and Automated External Defibrillation (AED & Basic Life Support Level 2) is to provide the learner with the skills, knowledge and understanding in the provision of Cardiopulmonary Resuscitation and of the safe use and management of an Automated External Defibrillator. This qualification offers the trained provider the opportunity to provide effective emergency lifesaving first aid care using an AED. This is achieved through the understanding of the BLS/AED algorithm and the responsibilities and treatment principles of AED use.